Happy Bank Holiday weekend everybody! To celebrate, and encourage you to think about where you’re drinking this weekend, I’m giving away two Scratch Off Gin Distillery Maps from Maps International. 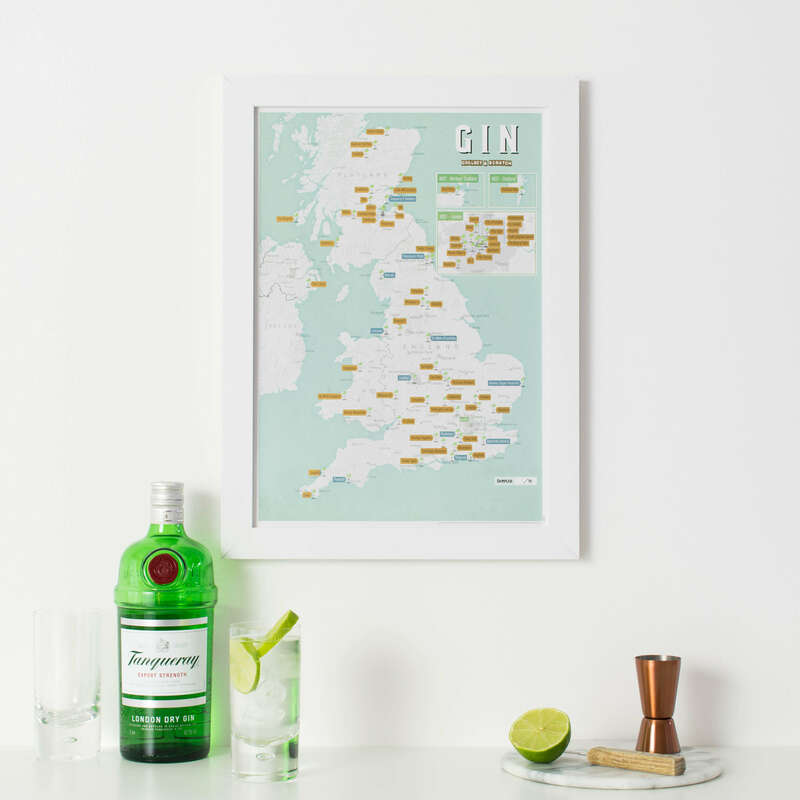 These little beauties allow you to keep a record of every gin distillery you’ve visited in the UK and hang it on your wall like a badge of honour. Skip straight to the competition to enter! I’m a massive fan of these maps – I already had a worldwide scratch map in my house so that we can scratch off all the countries we’ve visited so far – and there’s something so inexplicably beautiful about a piece of map wall art. Maps International do a whole host of different maps which you can scratch off, no matter what your interest is. There’s one for football grounds (I know a few lads lads lads who would like this one! ), one for Munro-Bagging (I’m ashamed to say that I did need to Google what this was! ), and one for cycle climbs too, and these are all UK based. I, of course, picked the Gin Distillery map because I obviously am partial to a gin or two of an evening (or a day time really!) and I love the fact that the map works on two levels for inspiration. If you’re stuck where to go on a weekend UK mini break, you could consult the map OR if you’ve already got a trip planned somewhere in the UK you can visit the gin distillery that’s based there as something to do. Then once you’ve scratched them off you can give yourself a big pat on the back! If you can’t wait two weeks to see if you’ve won the competition, Maps International are offering 10% off their maps until 28th August 2017. Just visit their website and enter code ACTIVE10 to get your discount and order your own scratch map.